Peter Englund, born 4 April 1957 in Boden. Historian and writer. He was elected to the Swedish Academy on 23 May 2002 and admitted on 20 December 2002. 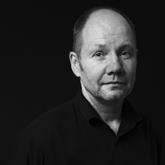 Englund succeeded the historian Erik Lönnroth to Chair number 10. He was the Academy's Permanent Secretary between 1 June 2009 and 31 May 2015. Since 2001 he has been Professor of Historical and Social Narrative at the University College of Film, Radio, Television and Theatre in Stockholm. Among other honours he was awarded the August Prize in 1993 and the Selma Lagerlöf Literature Prize in 2002. Following upper-secondary school in his home town of Boden and fifteen months’ national service in the Artillery, Peter Englund studied archaeology, theoretical philosophy and history at Uppsala University. He started postgraduate studies in history and – following an interruption to work in military intelligence – focused his research on conceptions of the world and society among the seventeenth-century century Swedish aristocracy. The research later resulted in his doctoral thesis Det hotade huset: Adliga föreställningar om samhället under stormaktstiden (1989; ‘The Threatened House: Aristocratic Conceptions of Society during Sweden’s Period as a Great Power’). With its diversity of disparate sources (from parliamentary minutes and political pamphlets to private letters and poetry) Englund’s thesis can be considered a fairly orthodox mentality-historical investigation in the French tradition which did not enter Swedish historical research until the 1980s following a long period of positivistic concentration on strict historical objectivity. But for Peter Englund mentality history was only one of the directions away from the historiography that thought it was working with the stringency of natural science. For in parallel with his thesis he was spending time on a more pronounced “writing for pleasure”, an “account of the ruin of an army” which, appearing in 1988, the year before the thesis, had been entitled Poltava (‘Poltava’). The intense, empathetic and perspicacious portrayal – hour-by-hour – of the Battle of Poltava in the Ukraine of June 1709* was an enormous sales success and may be said to have contributed in great measure to the wide interest in history among the Swedish public. History regained a narrative form, but now anti-heroic, down-to-earth and spiced with analytical acumen. In Poltava Peter Englund showed that concern for historical detail excludes neither the broad view nor excitement unalloyed. Poltava has run to over a quarter of a million copies and has been translated into many languages including French and English. The supposed dividing line between “Large History” – war, revolution, battlefields – and “Small History” – the focus on time, dirt and terror – is the leitmotif of Englund’s first collection of essays, Förflutenhetens landskap (1991; ‘The Landscape of the Past’). Here he shows a mastery of the concise format also, moving freely between the Large and the Small. Basically this is a scrapbook, and a large proportion of the essays are reworked versions of texts from the Expressen newspaper where he was active, not least as a travel writer, for almost a decade. His reports from war areas such as Croatia, Bosnia and Afghanistan found many readers. In the daily press, Englund has also functioned as a check on certain types of contemporary historical oversimplification. At the same time Peter Englund had returned to his favourite century, the seventeenth. Success had enabled him to plan an enormous life-project, a voluminous trilogy that would attempt to capture a whole century from as many points of view as possible. Two of the three volumes have appeared. The year 1993 saw Ofredsår (‘Years of Warfare’) with the subtitle Om den svenska stormaktstiden och en man i dess mitt (‘On Sweden’s Period as a Great Power and on a Man at its Centre’). This is the complicated account of how the small Northern peasant nation was suddenly transformed into a European great power, and the man at its centre is the future artist, warrior and architect Erik Dahlbergh, perhaps the most important initiator of Sweden’s rise to great-power status, who is followed closely from 1625 to 1656. This 632-page tome about a world of apparently eternal warfare was awarded the 1993 August Prize for non-fiction and has been printed in editions almost as large as those of Poltava. The second volume of the trilogy (with the same sub-title, ‘On Sweden’s Period as a Great Power and on a Man at its Centre’) did not appear until 2000 and is an even fatter tome: Den oövervinnerlige (‘The Invincible’), 800 pages. The book takes up where Ofredsår left off, covering primarily the 1650s and the crisis following the end of the Thirty Years’ War in 1648 when Sweden once again started to shrink back into an ordinary little Northern kingdom. Who the man at its centre is in Den oövervinnerlige is more uncertain than in Ofredsår. Possibly it is still Erik Dahlbergh. Possibly it is the strange, overlooked King Charles Gustavus X. Possibly it is death itself, the great main protagonist of the seventeenth century. Between the first two volumes of the seventeenth-century trilogy Englund published a different type of book; still “historical essays” as in Förflutenhetens landskap, but Brev från nollpunkten (1996; ‘Letters from Ground Zero’) is a considerably more coherent and thoroughly composed book on the darkest corners of the twentieth century: “an encounter with heroes and cowards, henchmen and spectators, victims and executioners in the most violent and tragic century known to history”. Brev från nollpunkten is a black pearl in which Englund’s narration achieves new epic heights. Brev från nollpunkten (Letters from Zero) was followed up with a further collection of essays Tystnadens historia och andra essäer (2003) (The History of Silence and other Essays). While less thoroughly worked and more of a scrapbook, this was entirely in line with Englund’s earlier preoccupation with “little history” as a parallel to “big”. It contains fourteen essays on themes of cultural history and the history of mentality – the history of spectacles and the toothbrush as much as that of silence and desire. As Englund writes, “the world also shows in the small things, in the events to which we are so accustomed that they have become invisible”. At that time Englund was also occupied as a film and TV scriptwriter He wrote the script for the TV series Ramona, on the 1952 crisis when tension rose between the Soviet Union and Sweden after the shooting-down of Swedish aircraft in the Baltic. The series was shown on Swedish Television in two parts at the beginning of January 2003. Another film script, in collaboration with Kristian Petri on the age of Charles XII of Sweden, was modified into a joint short novel Jag skall dundra (2005) (I will Thunder), a dense, brutal thriller-like story from 1706 in which a Swedish troop was wiped out under mystical circumstances while foraging in the Polish countryside. The compactness of his prose accompanied Peter England to the next year’s book, the short but intensive Silvermasken – En kort biografi över drottning Kristina (The Silver Mask – A Brief Biography of Queen Kristina). Inspired by the Roman historian Livy, Englund has Kristina appear in short chapters not in chronological order but with well-managed complexity. The book is a small masterpiece in the unusual genre miniature biography. During the past twenty years Peter Englund bas been an eye-witness to four wars, Croatia 1991, Bosnia 1994, Afghanistan 1996 och Iraq 2005. In his little book Spegelscener – Minnesfragment från fyra krig (2006) (Scenes in a Mirror – Fragments of Memory from Four Wars), published by Bonniers as their Christmas book for employees and authors, Englund gives a very personal picture “behind the scenes” as a travelling reporter for the newspapers Expressen and Dagens Nyheter. After acting as an expert commentator in Fredrik Lindström’s Swedish Television series on Sweden’s history and identity, ”Världens modernaste land” (The World’s Most Modern Country), it was time for the next book Stridens skönhet och sorg – Första världskriget i 212 korta kapitel (The Beauty and the Grief of Battle – The First World War in 212 Short Chapters, 2008). Here Peter Englund introduces a historiographical innovation, which can simply be called experimental. The book actually unfolds in short chapters of a few pages each, where Englund follows what each of twenty people did and saw on a particular day. The chapters are in chronological order starting in August 1914 and ending in November 1918. This gives the reader a picture of the war in its entirety, with one chapter for each of its weeks. Stridens skönhet och sorg was published on 11 November 2008, ninety years to the day after the first World War ended.